If ever summer sunshine could be bottled then it would be in the form of Cider. Dewy mornings, warm summer rain and lazy summer sunshine captured in golden ripening apples…scrummy. So what better than hot spiced cider to warm you and remind you of the half forgotten days of summer. 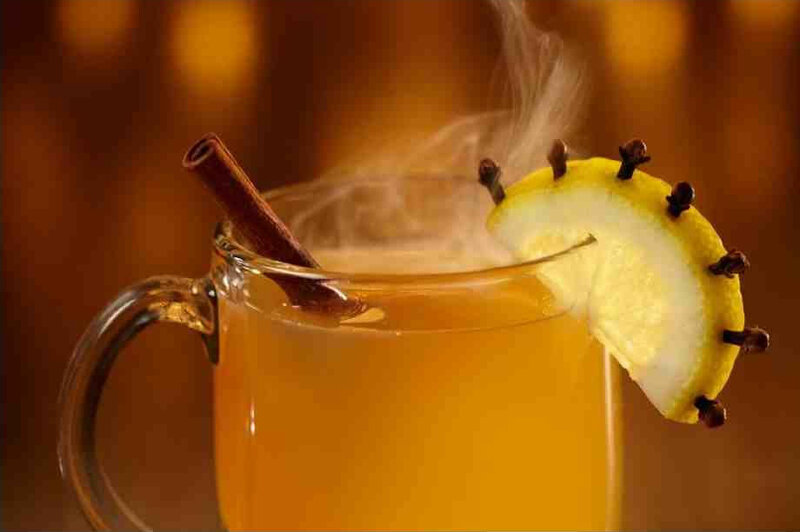 Whether it’s to take the edge off a long, frosty walk, kick off a party, or finish dinner properly, there’s nothing like a cozy winter warmer like Mulled Cider. Warm a litre of dry cider (as close to farm-pressed as you can find) with a couple of spoons of dark brown sugar, 4 allspice berries, 4 cloves and 2 cinnamon sticks, till very hot. Add 6-8 tablespoons of cider brandy (ciderbrandy.co.uk, superb stuff), calvados or rum, and divide between glasses to serve. Delicious with strong Cheddar cheese straws.